Do you use “silicon type” dry fly dressing on a regular basis? Do you often run out at the wrong time? 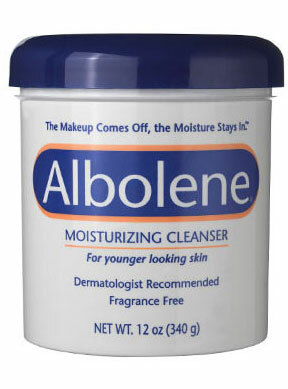 If you answered yes to those questions or you’re simply the thrifty type and have the space in your fishing bag or on your boat, you might want to consider using a makeup-removing product called Albolene. Guide Mark Elliot from Missoula, Montana showed me this trick recently on a long trip on the Clark Fork River. When I asked him what was in the tape wrapped bucket wedged into his rowing seat he simply said, “Albolene.” I said, “What? !” He proceeded to cover my gaudy dry fly in the stuff, which worked brilliantly for the next hour or so. You can get 12 ounces of Albolene for $10.99 at Walgreens. You’re welcome.